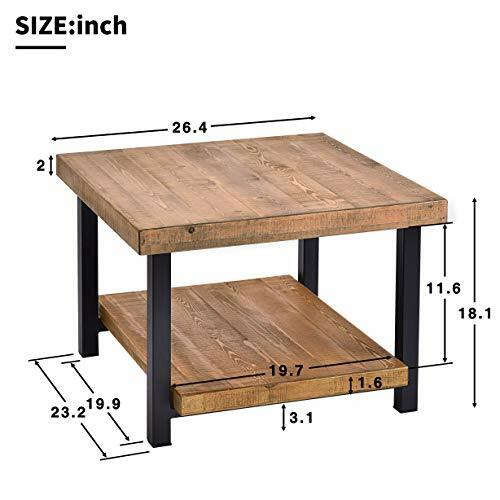 Product prices and availability are accurate as of 2019-04-18 08:57:51 UTC and are subject to change. Any price and availability information displayed on http://www.amazon.com/ at the time of purchase will apply to the purchase of this product. 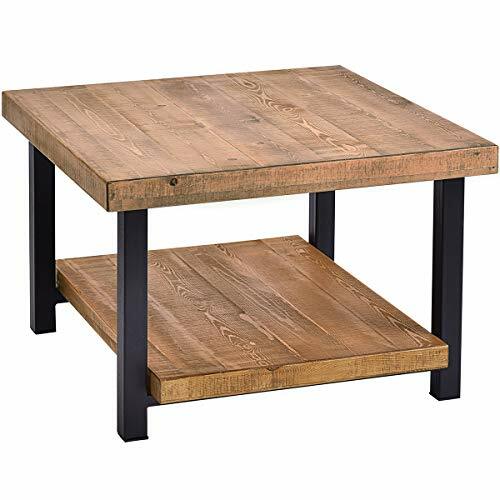 Quality workmanship and unique style make up our Hillside Rustic Dining Table Collection, available in both cube and circular styles to fit exactly what you are looking for with your space. 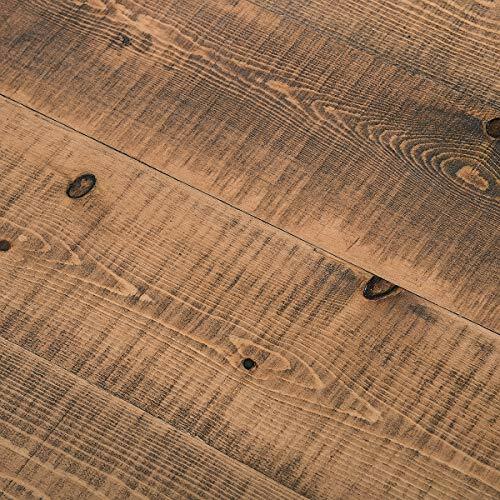 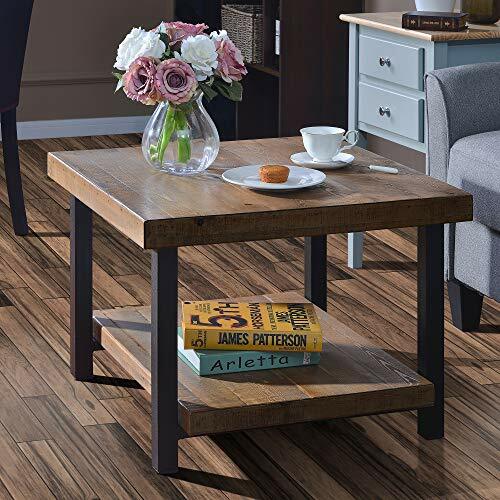 Proudly showcase your favorite décor against the charming reclaimed wood surface, the smoothed solid wood slab of each piece featuring a one-of-a-kind ridged wood pattern that offers the perfect balance of modest class with its rustic appearance that won't take away from décor while still able to stand out subtly and add warmth to your home. 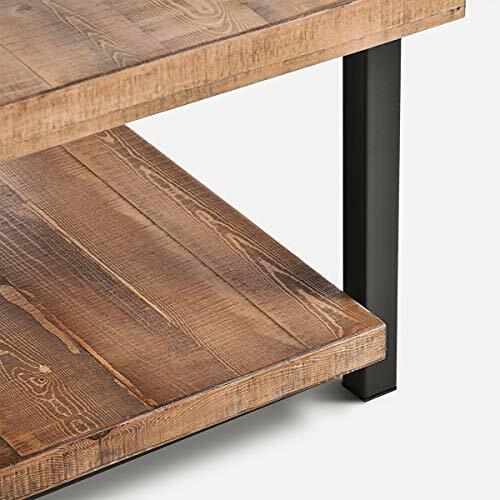 Solid iron accents mingle effortlessly with the textured rustic wood making for an eye-catching piece and heightened versatility, capable of matching a variety of décor themes. 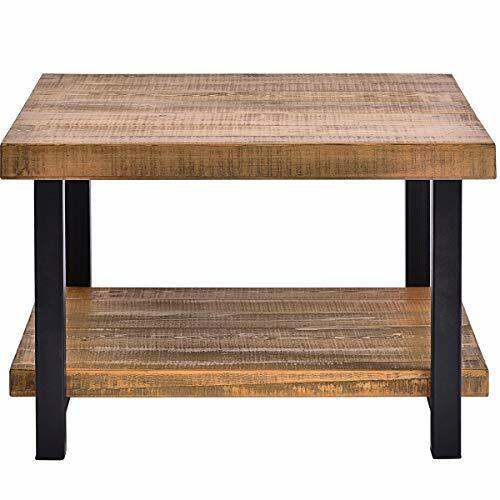 Enjoy a grid iron base shelf panel or a smoothed solid wood slab to house and display extra accessories and keep them within easy reach while also helping manage excess clutter from accumulating on the top shelf, such as books, magazines, remotes and more.